Unfortunately, Omnius has one last, deadly card to play. In a last-ditch effort to destroy humankind, virulent plagues are let loose throughout the galaxy, decimating the populations of whole planets. The war that has lasted many lifetimes will be decided in the apocalyptic Battle of Corrin. 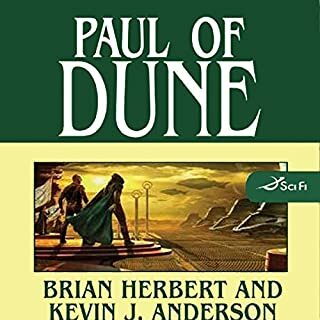 In the greatest battle of science fiction history, human and machine face off one last time....And on the desert planet of Arrakis, the legendary Fremen of Dune become the feared fighting force to be discovered by Paul Maud'Dib in Frank Herbert's classic, Dune. ©2004 Herbert Properties, LLC (P)2004 Audio Renaissance, a division of Holtzbrinck Publishers, LLC and Books on Tape, Inc. 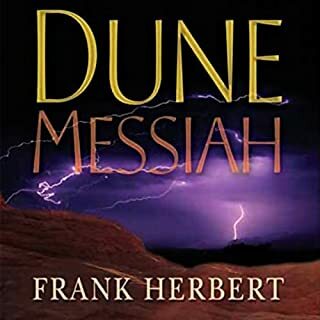 I have been a Dune fan for many years but for some reason always found Frank Herbert style very hard to read (and listen). I read the original 6 books a few years back and didn't want to go back to the Dune universe. 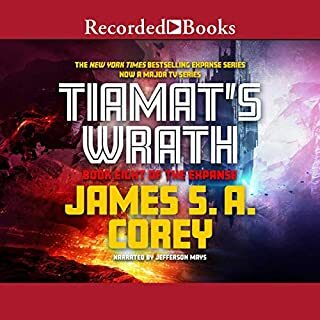 However, based on a friend recommendation, I got the 3 audio books in Audible and I now can say that this probable one of the best Sci-Fi trilogies I ever read. The 3 main characters are all so well described, the enemy is one that you can identify (and hate as well) and the story is enthralling. This book has make me want to read the rest of the books, I already have them in my Audible library now! Another great listen. An amazing story and conclusion to the first prequel trilogy! 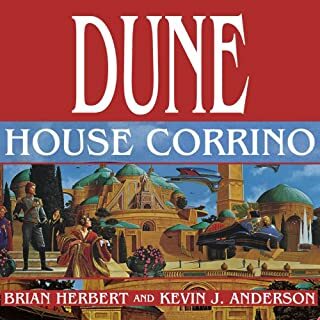 A must have for dune fans! We need more words for a real review. There's not enough room in this space to give a decent review for this book. Brian Herbert and Anderson have done Frank proud. 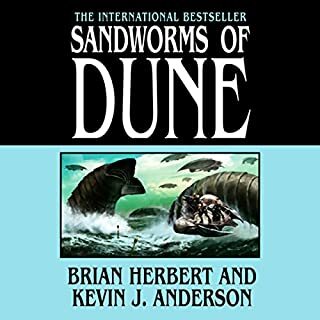 This last installment of the fascinating prequel to Dune is as rich and detailed as the previous works. The complexity of characters and development of simultaneous plots provides an exciting read. These authors truly make the Universe of Dune come alive for the reader in a way unparelled since the original series. I cant wait for another chapter of this series. 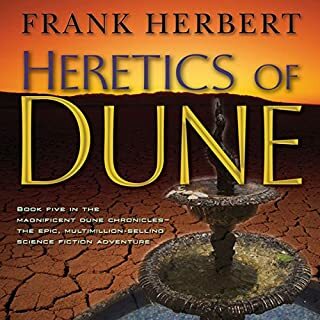 Excellent third installment in the Prequel to the Prequel of the Dune series. When I finished it, I was sad to hear in the interview with the authors, that they really did not seem to plan to continue with another series. It seems that the transition from VenKey Enterprises (Norma) to the Spacing Guild, as well as the development of the Reverend Mothers would be the next point to be covered. As anyone reading this can see, the key to Brian's and Kevin's Genius, is that it can go on. 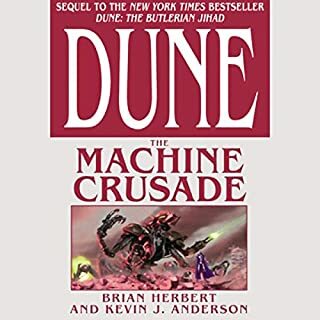 If you are a fan of the original Dune series (like me), you will probably buy this book no matter what anyone says - the prospect of reading about the Butlerian Jihad and the beginnings of the Guilds will be too much to pass up. However, you will probably grit your teeth through the entire book. I want to be clear that I have read many of Kevin Anderson's other books (notably the Star Wars titles) and enjoyed his work very much. However, although the basic plot outline that he and Brian Herbert have come up with are intriguing, I find their collabarative writing style very off-putting. In a post-book interview Anderson even states that many fans have thanked him for creating a series more readable than the original. Unfortunately, if you liked the original, these books seem like the 'young reader's edition' of a more literary work. 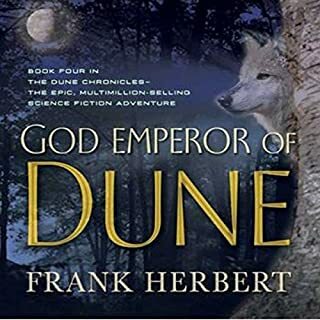 The prose has none of the style and granduer of the original writings; it seems to me they take fifty words to say what Frank Herbert said in ten. Plot points are often repeated over and over again, to make absolutely certain you realize that this is how something in the original series originated. 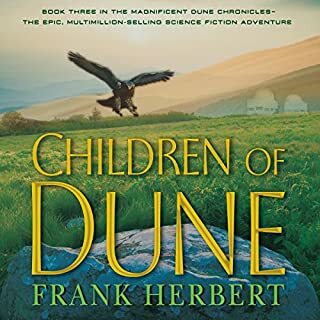 All this being said, I view the Dune prequels in the same way I view Clive Cussler novels - I can't stand the writing, but the plotlines are interesting enough that I buy them anyway, and then later swear that I won't do it again. 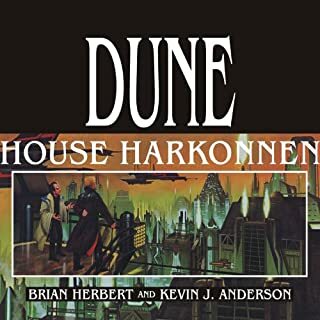 If you are NOT a particular fan of the original novels, then you will probably enjoy the Brian Herbert/Kevin Anderson books a lot more than I did. It's sort of like old Star Wars movies vs. the new Star Wars movies. 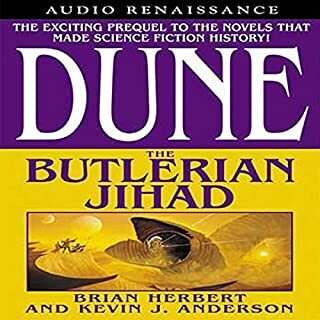 The book finishes off the Jihad and tries hard to set the stage for the proper Dune novels by Frank Herbert. 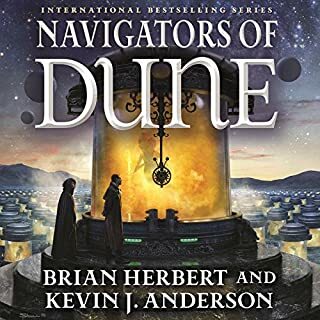 As with the other collaborative novels by Brian Herbert and Kevin J .Anderson, it feels like Junior Dune or an episode of Star Trek Voyager. 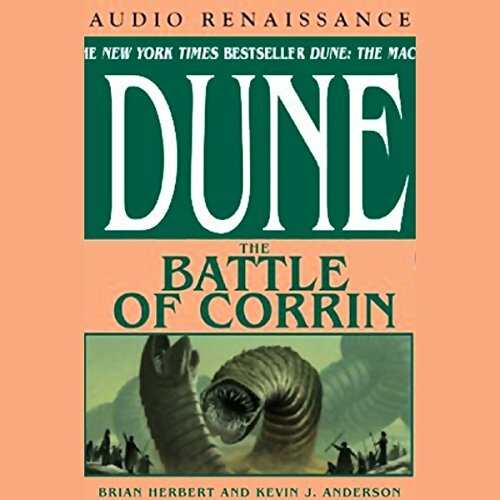 Brick's narration is perfect, he seems to have a personal investment in the Dune universe which comes out in his work - too bad he didn't have a better book to read. 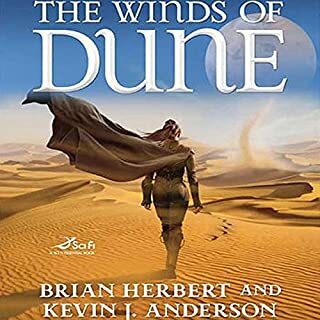 Wraps up many of the questions dune fans have had with the series, although many of these wrap-ups seem a bit rushed and disjointed from the main plot - especially the end which is very rushed. These shortcomings aside, a good read nonetheless... you'll be happy you spend the time as there are many gems you've been waiting to hear about. Good story about the end of the war with the machines. Held my interest for the entire book. 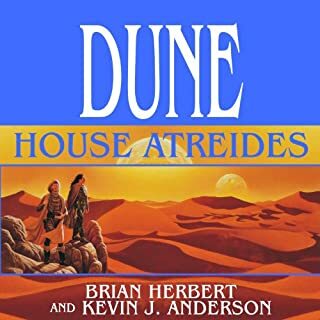 With this book, all the pieces needed for Dune fall into place, the Bene Gesserits, the Spicing Guild, the Fremen, and the Noble Houses. Carried the story right on from where the last book left off! Lots of action and some twists that caught me unaware! Kept my attention even though I listened to part of it every day. I recomend this book to anyone that enjoys fast action and future-related storylines! An epic conclusion to an epic series. This is the third in the Legends of Dune series. You definitely need to read these in order. If you have not read the original Dune series I'd advise starting with those as they will give you a greater appreciation of this series. Brian Herbert isn't as good as his father, but he is still a pretty good author in his own right. 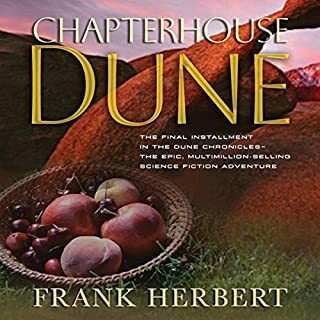 He wraps up this prequel to the Dune series in a satisfying way. You finally get to learn why the feud between the Atreides and Harkonnen takes place. If you love Dune you 'll want this one. Another Amazing Production by Herbert & Anderson! I just finished this book and once again I’m amazed by this writing team. 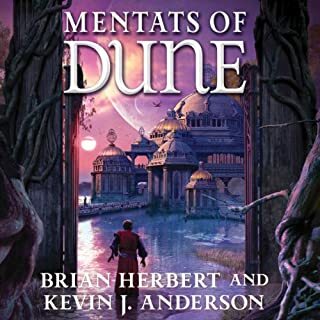 Herbert & Anderson breathe life into their characters and cleverly reveal the origins of the many concepts we adored in the original Dune series. Ever wonder how the cute navigators in the Spacing Guild originated? 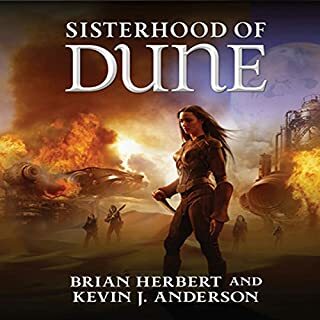 Curious about the conditions that prompted the formation of the Bene Gesserit sisterhood? Listen and find out! The narrator Scott Brick is a one-man ensemble. I’ve listened to several of his readings and I’m continually astounded he can create such a wide range of diverse characters. He makes the reader truly believe in the characters. I only wish the story was much, much longer; I didn’t want it to end. I suggest you read all the Dune prequels in order, then conclude with this one. It’s one of the best purchases you’ll ever make. 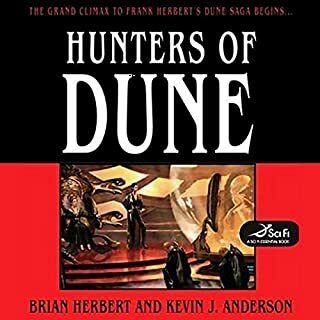 At the risk of committing sci-fi sacrilege, I’d say Herbert & Anderson’s works are even better than Frank Herbert’s original Dune series. They’re THAT good.